A summertime twist on this classic cocktail. The sweet vodka martinis are an elegant summertime cocktail. Sweet, simple, and refreshing with a subtle hint of cucumber. A fun summertime twist with an aromatic tea infusion. Easily made with any berry or pomegranate (yum! ), this is one tasty cocktail! 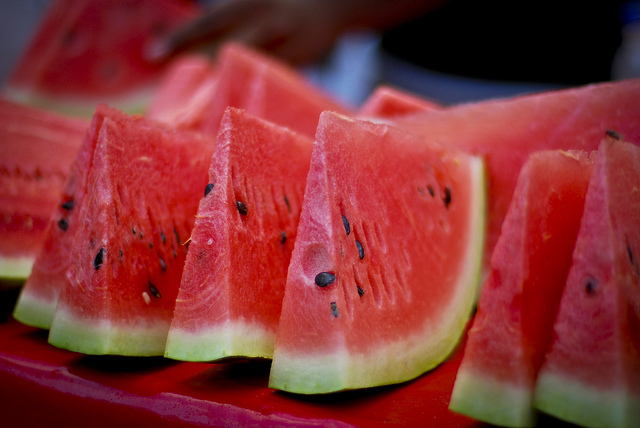 With a hint of mint and chunks of fresh watermelon and cucumber, there's nothing quite like it! Sweet and spicy, just skip the vodka for a tasty beverage the whole family can enjoy! A simply sweet rum-based cocktail to beat the summer heat! This on-the-rocks margarita is out of this world!